American Medicals manufactures and distributes a wide variety of quality medical, surgical, and dental products used by hospitals and healthcare professionals worldwide. 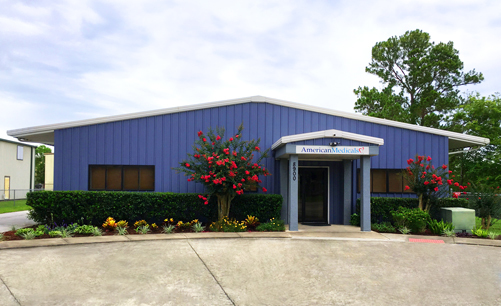 We are located in a state-of-the-art facility located in Jacksonville, Florida, USA. By maintaining government contracts for medical and dental equipment and supplies, American Medicals has been supplying to government customers with great success for many years. We pride ourselves on understanding the unique procurement needs and operational complexities of government facilities. Contact us to learn more about our government contracts and how to do business with us. Through our steriSTAT® line, we offer a wide variety of sterile, disposable stainless steel surgical instruments. These include needle holders, nail nippers, nail curettes, scissors, and a variety of forceps. Additionally, we are proud to offer our sterile and reusable Safe-Toe® podiatry burs, which are specifically designed to treat diabetic patients. We also have both reusable carbide and diamond burs. We also carry medical and dental equipment from proven manufacturers such as Bionix, DenMat, DirexGroup, Hausmann, Nouvag, Rice Lake, seca, Seiler, Summit Doppler/Wallach, Sunnex, and Winco. We are constantly expanding our product line. Please contact us if you are in need of an item that is not on our web site. 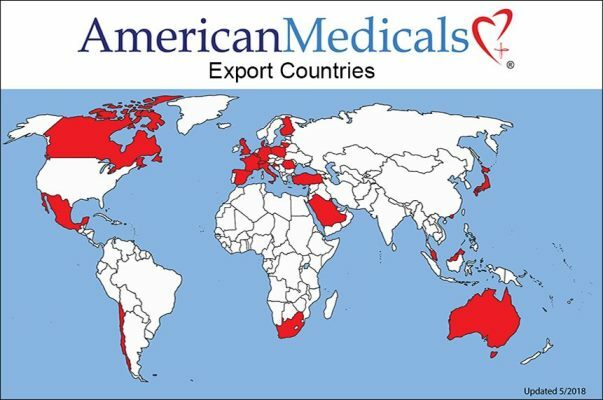 American Medicals has extensive experience in selling and shipping our products to international customers. We are happy to process such transactions through Paypal and wire transfer. Please contact us for more information. American Medicals, your trusted partner for medical, surgical, and dental products. This advertisement is neither paid for nor sponsored, in whole or in part, by any element of the United States Government.